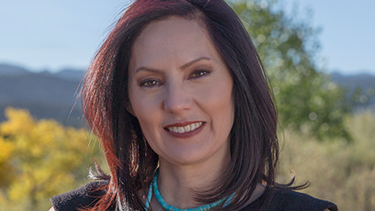 Professor Barbara Creel, Director of the New Mexico Innocence and Justice Project, says that the case of client Jacob Duran is an important one relating to the discretion of the court to review a DNA case and grant relief. The New Mexico Innocence and Justice Project at the UNM School of Law took the case in 1987, and on Monday, December 11, the Second Judicial District Court in Albuquerque heard IJP’s Motion to Dismiss the case and conviction against Duran. The case was argued by pro bono counsel Nicholas Davis (’2014), a former NM IJP student who worked on the case while in law school. Current NM IJP students provided research and drafting support under Creel’s support. What standard should the court adopt to determine whether our evidence meets the definition? NM IJP client Jacob Duran has maintained his innocence since his arrest and 1987 conviction. On December 11, NM IJP argued in court that DNA rejects the only independent evidence that the state had to include him as a suspect and to convict him. The argument laid out that the new DNA evidence that excludes Duran from the crime scene, contrary to the original evidence presented by the state. 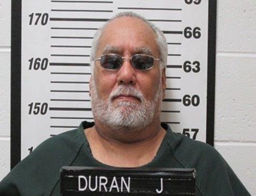 The lab analyst from the New Mexico Department of Public Safety testified that the DNA evidence excluded Duran, contrary to what the jury heard in 1987. An Assistant Attorney General argued on behalf of the State of New Mexico that the court should apply an exonerative standard (exceptionally high) under the statute, and offered that the new evidence in this case did not meet the standard. The state is in favor of finality and against reopening or setting aside the case. Davis was able to point to a legislative fiscal impact statement that demonstrated that the legislature considered including a standard like clear and convincing or preponderance of the evidence, but rejected that language in favor of no definitive standard and allow the court to use its own discretion. The judge did not rule from the bench but will take it under advisement. A decision is expected later in the month. In addition to providing research and drafting support, the full NM IJP class also reviewed the case, discussed the argument in class and with the pro bono counsel, and worked in strategy sessions with counsel and a team of experts. Brittany Edwards (Class of 2018) and Maya Lindgren (Class of 2019) provided critical documents from the record that proved important in the hearing. Both students said that it was exciting and affirming to see their work placed before the court in an innocence case. All students were invited to attend the hearing, and those present were able to see direct and cross examination of the forensic DNA expert from the New Mexico crime laboratory on her analysis and findings.